Subtle blend of grain whiskies and slightly peated malt, this blend invites the taster to reinvent the simplest tasting rituals. Nikka proposes to discover a balanced Japanese whisky with its aromatic palette with floral notes. The result of this creamy, fruity and smooth blend is obtained by a successful blend of grain whiskies and slightly peated malt whiskies from Miyagikyo and Yoichi distilleries. 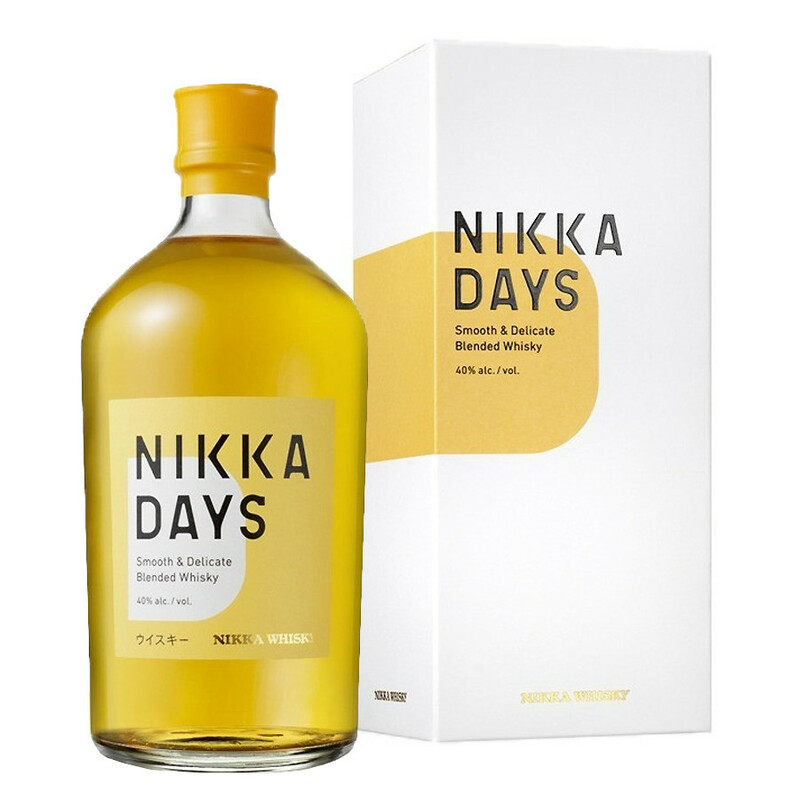 Nikka Days is ideal for discovering Japanese whisky. It can be drink pure, on ice as in a cocktail. Nose: a association of floral notes with white flowers, orange blossoms and fruity notes with aromas of pear and citrus. Palate: the tasting starts off smoothly. The whisky is unctuous and sweet. It grows on cereals, malt, toffee and roasted nuts in a vanilla set. It is very slightly peated in the middle of the mouth. Final: it is fruity on apricot and malted.